Do you like truffles? You should! Truffles are famous for their aroma and taste, they are the jewels in Italy's culinary crown. the truffles unique aroma deceptively conceals their complex yet delicate taste. Truffle shavings have the power to render even the most unsophisticated dish sublime. Tuscany is one of the regions of Italy that produces high quality truffles, famous throughout the world. 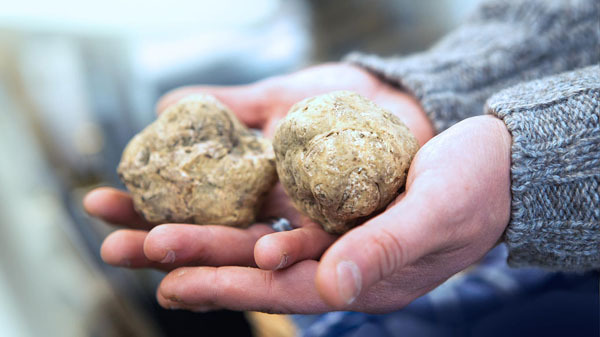 Truffles are an integral part of the Tuscan cuisine, as is truffle hunting an integral part of its culture. Spend a day romping through the woods with our expert truffle hunter. He will who show you how to find truffles and how to use and above all how to enjoy them. Spending the day truffle hunting is great for couples, families and people of all ages. It’s great for food and wine lovers, or for anyone just wanting to immerse themselves in the landscape, people and culture of Tuscany. The hunt begins around 8:30 and ends around 11:00.
Who does not like Italian cooking? Italy has created one of the Western world’s greatest cuisine. Italian cooking is based on simplicity and freshness of the ingredients. 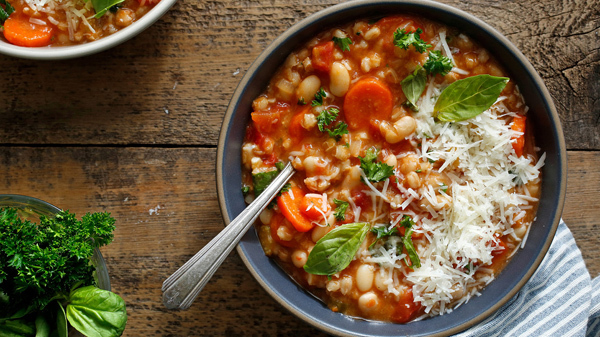 This is no truer than in Tuscan cooking. Simplicity is the essence of Tuscany and so it is with its cuisine, it is hospitable, it is a peasant cooking for the home; it is cooking with love. Personalized cooking classes are offered at our boutique luxury hotel Villa Poggiano, not more than 5 minutes away from Montorio. Our classes are for a minimum of 2 to a maximum of 4 people. Our professional chef is a native Italian and thus brings generations of experience of Italian cooking to your cooking course. You will learn how to prepare pasta and a full menu - the authentic Tuscan way. The class is from Monday to Friday at 4:30 pm and ends with a dinner. A high school friend of mine decided right after graduation to follow his passion; photography. After traveling around the world with his camera for over 20 years , he has returned home. For the last two years since he has been back, besides his work as a free lance photographer, he teaches a daily photography workshop. If you are a beginner or an advance amateur it does not matter. What is important is your passion for photography. A day in the fields with my friend will surely enrich you. If you are interested in booking a day with the photographer let us know and we will arrange everything. In recent years I have noticed that more and more of my guests are practicing yoga. 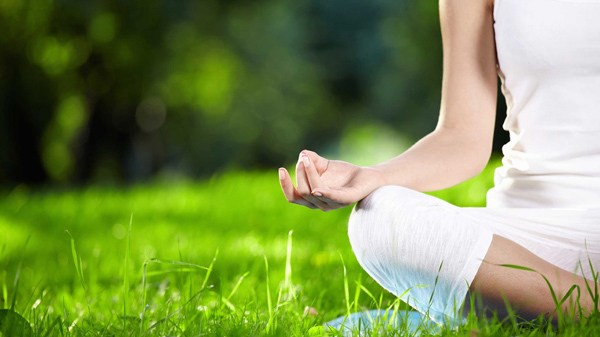 I believe that yoga and meditation are perfect for those who want to immerse themselves in the study of yoga, while still enjoying outdoor life in Tuscany. At Montorio you can enjoy an amazing relaxing yoga escape full of fun, relaxation with a teacher of Ashtanga yoga with over 30 years of experience. So, if you would like to recharge your batteries, we could organize individual or group lesson with the instructor. We do not have a pool , so where is the problem? Maybe you have your own pool at home but, do you have a natural hot spring thermal pool? Probably not. 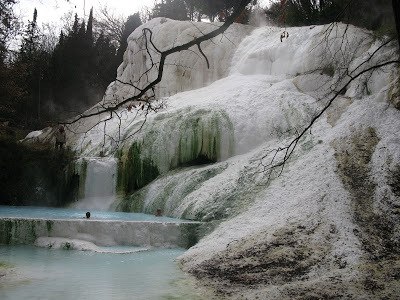 Tuscany is rich in hot natural springs that bubble out of the ground filled with minerals and the heat of the earth. The springs have been used for their curative properties since the time of the Romans. Tuscany has the highest number of thermal centers in all Italy and several of these are in our immediate area. The closest are in Chianciano Terme with its brand new spa pools, Theia, four outdoor and three indoor pools which are all connected and filled with water from the Sillene spring. The pools areas are furnished with loungers, sun beds and offer amenities like saunas and relaxing and restorative massages. Located about 30 minute drive from Montorio nestled between the volcanic peaks of Mount Amiata, the highest mountain in Tuscany, and the deeply wooded Orcia valley, are the Baths of San Filippo which takes its name from the Florentine hermit who retreated here in the 13th century. It is also known for its five hot springs, which gurgle out of the ground at 52C. Then there is Bagno Vignoni, where Saint Catherine of Sienna and Lorenzo The Magnificent sought relief in the thermal pools there. With a 40 minute drive there are the thermal waters of Rapolano Terme. Vino Nobile di Montepulciano is one of Italy's classic red wines, and has unquestionably helped Tuscany retain its privileged place on the world wine map. Just walking through the historical center of Montepulciano gives one the opportunity to visit and to taste some of the wines of world renowned vintners. The Cantina dei Redi is a wine cellar situated within one of the most beautiful Renaissance palaces in Montepulciano, Palazzo Ricci. It is definitely something to see. 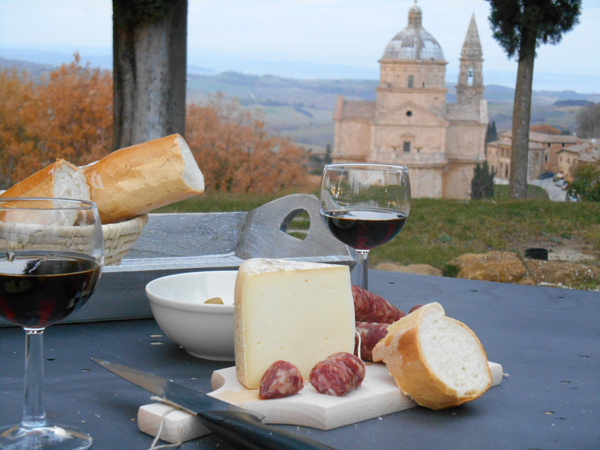 In the countryside around Montepulciano there are also many wine producers worth visiting and tasting their wine. If there is a particular wine cellar you would like to visit we can arrange a tour. There is also the possibility of a learning holiday. There is no better way of emerging oneself into the culture of a country then through its language. Il Sasso, a well-known Italian language school is right in the historic center of Montepulciano. It is open all year round and offers classes of Italian of varying lengths. The school has weekly programs or even one-day language classes, for example, are ideal for people who simply need a quick brush up or for travelers who want a basic survival course. The school can be reached easily on foot. 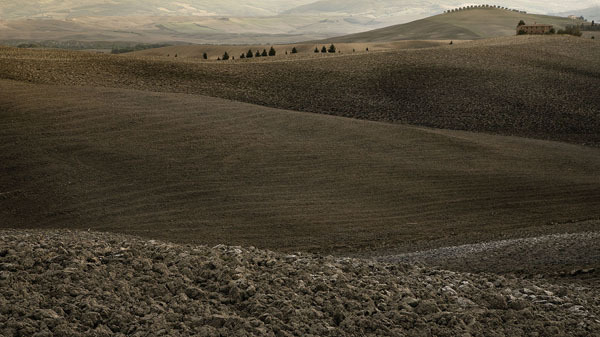 There is no better way to enjoy the beautiful landscapes of the Val d’Orcia then by riding a vintage vespa. 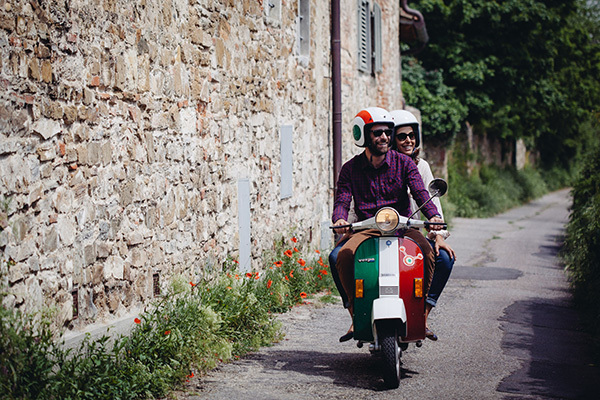 To visit the nearby towns like Montalcino and Pienza or even to go to soak in the thermal pool in Bagno Vignoni driving a vintage vespa will definitely add a zing to your day. If you want to give it a try I can arrange it for you. If you really want to relax I can arrange a personalized, private guided driving sightseeing tours. Would you like to completely and utterly relax then allow me to take care of your needs. I just need to know which of these activities you would like to try. They must be booked in advance, especially during the high season. Please do not hesitate to ask me for further information about activities costs and I will help you to make your stay special.